How does culture become a martyr to profits? We beheaded they’re monuments, so how is this the calamity? How can we expect freedom when led by ectoplasms of colonial thinkers? How can the youth be the future when it’s nothing but the image of a dead teen? That’s used to pursue your inner genius so you can be a great being? Mbasa Sigcau, also known as Amazing the Slum Intellect, is a 20 year old emcee, poet and observer based in Grahamstown South Africa. 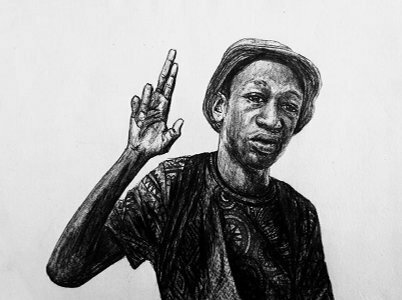 He honed his writing style by studying the Durban underground rap scene. Most of his writing is deeply rooted in social commentary.